Riding in winter can be a chore for some, so they keep their pride and joy locked up tight and kept under cover until spring. But for the avid winter warrior, a bit of cold and salt are nonsense excuses for not getting on the bike. It’s true, winter can have seriously adverse effects on your bike if it isn’t properly maintained and given a bit of extra TLC. Road salt can play havoc with the metal surfaces on your machine if not looked after and treated regularly. And the extra muck and debris washed onto the road with heavy rain will find its way into every nook and cranny for you to find when you wash your bike. 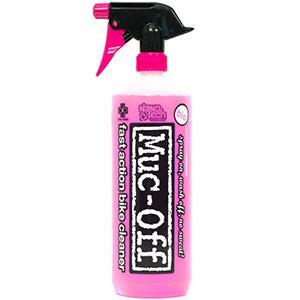 Keeping your bike clean through winter can be a difficult job, but thankfully Muc-Off like tough jobs and have developed a whole range of specialist cleaning products that are designed to keep your bike gleaming even when the weather is gloomy. The Nano-Tech bike cleaner is our favourite of these and is the first port of call to keep your machine clean. It couldn’t be simpler to use either; wet your bike, spray on the cleaner and agitate dirt with a soft brush or sponge if it’s stubborn, then wash off. Easy-peasy. A good brush set will help lift the dirt and grime away from your bike after you’ve applied Muc-Off cleaner or a similar product. 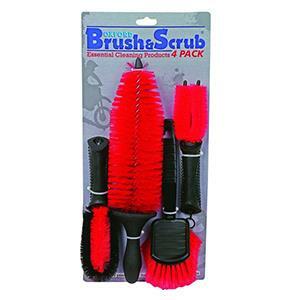 Having a number of brushes of different shapes and with bristles of differing stiffness will also help in specific areas of your bike too. Using a soft brush on body panels will take care of the paintwork and using a brush with longer, stiffer bristles on metal surfaces such as the wheels and exhaust system will help remove road crud. If there was one spray to rule them all, this would be it, and if you own a motorcycle, car or pushbike then this stuff is an absolute essential. 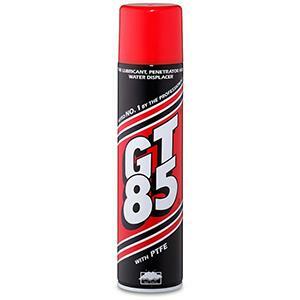 GT85 works wonders, it cleans and protects both paint and metal surfaces and is also a great lubricant too. You can use it to help free seized or stiff parts, and it smells nearly as good as two-stroke fumes. Almost. The PTFE element of the spray also means that it’s safe to use on rubber and electrical parts without degrading them too. 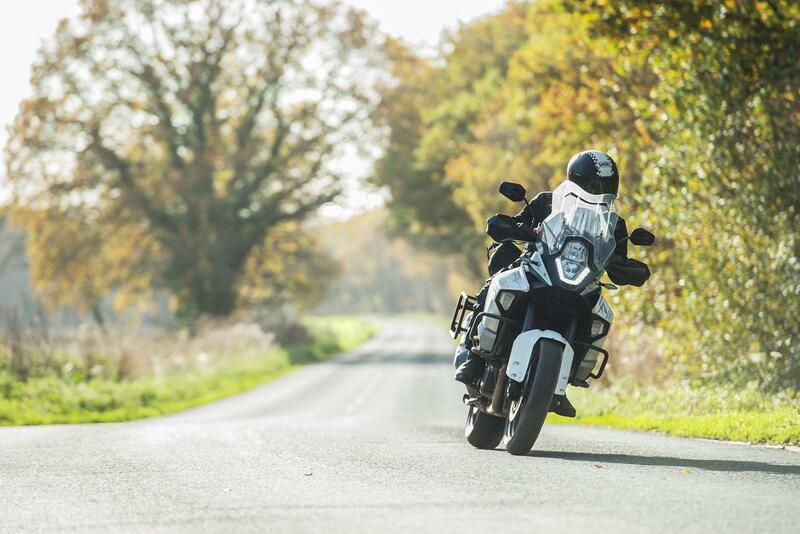 If you haven’t given it a go then get yourself some, you won’t regret it, and neither will your bike. If riding through winter then this is the stuff you’ll need in order to keep your bike at its very best. 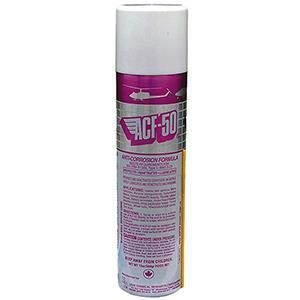 ACF-50 is an anti-corrosion formula that will protect your metal surfaces – something that needs to be done if riding on salt-covered roads. 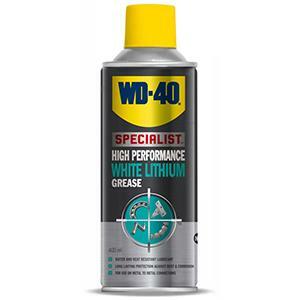 It might seem expensive to pay nearly £14 for a 13oz spray can, but the money it will save on parts corroding away and the value it’ll add to your machine when it comes to reselling a looked-after bike means that it easily pays for itself. 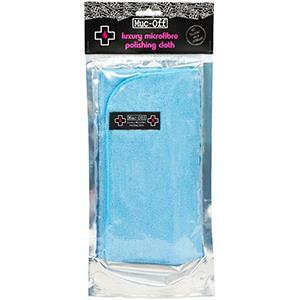 It can be used sparingly too, simply spray onto a rag and wipe over any bare metal parts. Sorted. One of the crucial areas that is worked harder than nearly anything else on a motorcycle, regardless of the season, is the chain. It has an incredibly difficult life pulling your motorcycle along and needs regular maintenance. This is especially true in the winter, and keeping a chain well lubed can make it last up to twice as long as a poorly maintained example. 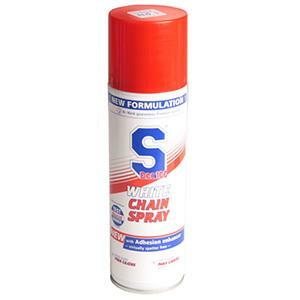 The SDoc100 chain spray works incredibly well, it’s durable and is effective for a good distance. It’s also white, which helps ensure that you don’t inadvertently miss a part of the chain. Of course, this is all irrelevant if your bike has a shaft drive. While it’s good to keep the chain well lubricated, constant application without cleaning won’t do much good and in the long run may even have a detrimental effect. The lube will keep the chain links moving freely, but can also attract grime and dust that will build up over time and eventually act as a grinding paste to the chain links drastically increasing chain wear. To stop this from happening you need a powerful cleaner that will not only cut through the grime and lube, but also not cause damage to the X or O rings on the chain. 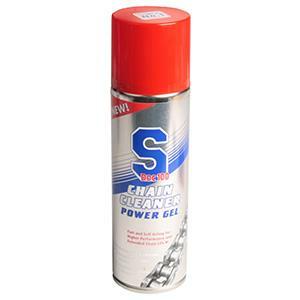 The SDoc100 chain cleaner is brilliant for getting your chain looking good as new. You simply spray it onto the chain after a ride when the lube will be warm and less viscous and leave to work for 15 minutes, agitating stubborn dirt with an old toothbrush, before rinsing off with a hose. 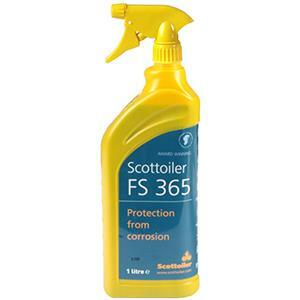 As an extra layer of corrosion protection to the ACF-50 that you’ve already applied, Scottoiler’s FS 365 spray will help your bike that little bit more against the winter elements. It’s dead simple to apply too, you just spray it onto the exposed metal areas and you’re done. It does need applying quite regularly though and will wash off pretty easily in heavy downpours or when the bike is cleaned but is great for that extra peace of mind. A good spray grease will help to protect those nooks and crannies that are otherwise hard to keep regularly maintained – especially in areas of friction where a thin lube just won’t cut it. Prime examples of this are around the hinges of the side-stand, clutch or brake levers. It’s easy to forget these areas, but a bit of grease in these joints will keep the elements at bay and keep them feeling good as new for a long time. For the final layer, and to help protect and keep your paintwork fresh, a quick polish or wax will work wonders. It will not only make your bike look better, but will also offer a final layer of protection against crud. A quick polish is handy too as it’s easier to use than a proper wax, and dispels the inevitable 'wax on, wax off' chant from Mr. Miyagi going through your head for the rest of the day. It will also incentivise you to use it more as it only takes 10 minutes to apply and finish the job. 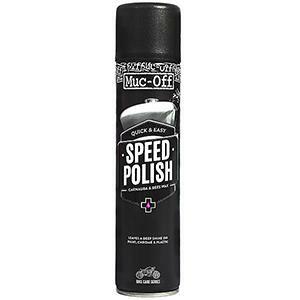 This speed polish from Muc-Off also contains Carnauba wax too, which will leave an ever-so-delightful finish. To polish off the polish, you’ll need yourself a polishing cloth. And the best results come from using a microfibre item to buff-up your babe. This ultrafine cloth from those cleaning wizards at Muc-Off will leave your bike streak-free and looking damn fine when you’re done. Try to use a cloth for a singular application too, the cloth that you used to wipe off excess GT85 is only going to leave greasy looking marks if you use it to polish the bike too. Keep it simple, have a cloth that you turn to specifically for polishing your bike and revel in the irresistible shine from your bike after every polish. This site will be down for essential maintenance on Monday, March 22, 2004, for one hour from 7am.